In the May 7, 2015, Drink column, I previewed the 2015 Park City Food & Wine Classic. It's an event packed to the brim with knowledgeable wine lovers. Unfortunately, many Utah restaurants are still playing catch-up when it comes to professional wine-service—although I must say, things have improved by leaps and bounds in the past few years. It's an uphill battle in the midst of a culture where, for religious reasons, many servers may not drink wine themselves. At any rate, here are some thoughts on customer rights and responsibilities, in terms of professional wine service in restaurants and bars. Periodically, I'm asked for advice with regard to wine-service training in restaurants. The first and most important suggestion I can make to wine servers, especially rookies, is: Don't fake it. Don't try to bluff your way through a wine discussion or offer expertise on wine selection and food pairings if you don't have any. I would much prefer a server say to me, "I don't know, but I'll find out," with regard to a wine question than to make something up. I certainly don't expect every server to be a sommelier, so just be honest -and do your best. However, in high-priced restaurants, a customer's expectations in regard to wine lists and wine service ought to increase in accordance with food and wine prices. It's not that I presume each server will be a wine expert, although that would be ideal. But I do expect someone on the staff to be the "go-to" person when it comes to wine. Any restaurant with a wine list worth its salt needs someone on staff who possesses a professional, working familiarity with those wines and how they pair with dishes from the menu, and is able to answer questions about wine from both customers and servers. These are the folks—often sommeliers or managers—who can make the difference between an acceptable and an exceptional dining experience. Pay and tip them well. With too many restaurants, wine is a numbers game. The bigger the wine list, the better the restaurant, right? Well, not necessarily. Sure, size matters. But why have a leather-bound, 40-page wine list full of first-growth Bordeaux and premium Burgundies if your specialty is Spanish tapas? Isn't it wiser to have a few well-selected, interesting wines from Spain and some good cervezas? I'd much rather see a small wine list where someone has put a lot of thought into selecting wines that complement a chef's cooking than to wade through an encyclopedic list so extensive that no one on the restaurant staff could have tasted them all. 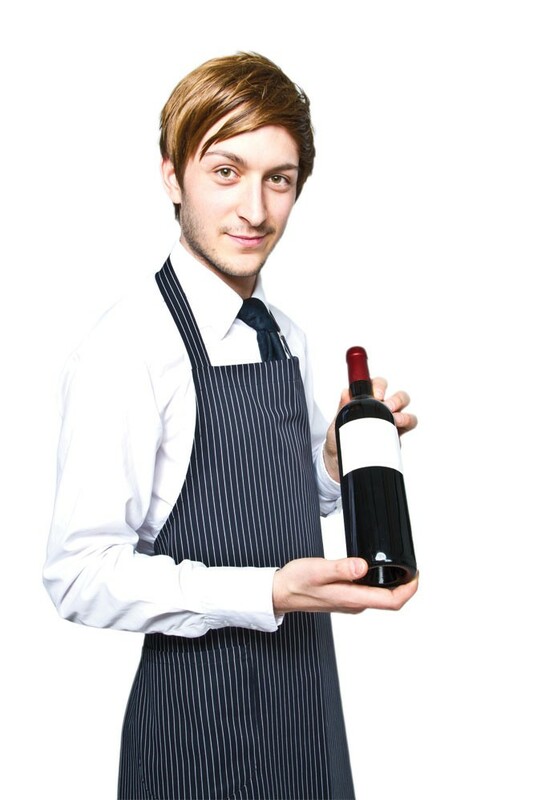 We, the customers, play a role inimproving restaurant wine service, too. Wine is where most high-end restaurants can turn a profit, but it's an expensive proposition to train staff and to keep a large wine inventory up-to-date. So, I encourage you to support wine-friendly restaurants simply by buying their wine. Unless you've got a bottle of something really special you've been saving for a grand occasion, resist the temptation to save a few bucks by brown-bagging your own wine. Wine selection and service in Utah restaurants will improve only if we help pay for it. And, if you do BYOB, be sure not to insult the restaurant staff and owners by, 1. bringing in garbage, and 2. showing up with a bottle of something already on the wine list. Again, bring only very special wines to restaurants—when you do, leave a little in the bottle for your server or sommelier to sip at the end of the evening.